Home Lifestyle My Pop vinyl | Funko collection. 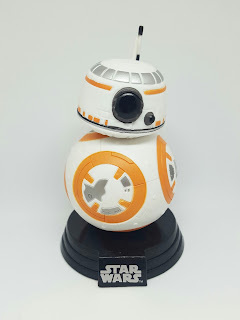 Pop funkos popularity have been growing for years now, when I first saw them I thought they were pointless plastic figures which take up room, but now I seem to have started my own collection of them which I will show you in this blog post. What are these plastic big headed things? 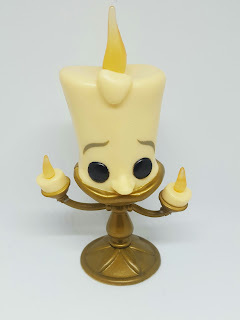 Most people I know buy them for their kids as toys, to me I view them more as figurines that shouldn't be played with as they're collectable, Funkos were originally founded as bobblehead company back in 1988 but the founder sold the company on in 2005 and it's been growing ever since, but it's only been in the past 5 years that I have seen. 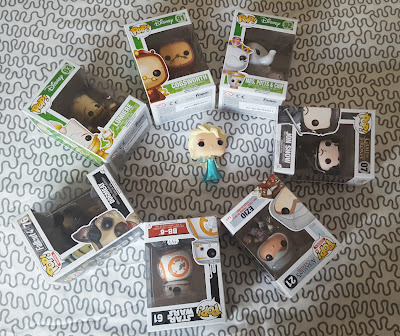 Now that I have 8 of these POP funkos I admittedly can't help but add to my collection, some people do go over the top and just buy them for the sake of it but I can't justify spending loads of money on hundreds of them, where an earth would I put them? People may go mad at me for taking them out of the boxes to take pictures but I wanted to try out my new lightbox, sorry! The first Funko I was given was Elsa, it was from my parents and unfortunately the box for her ripped so she is my only funko without a box but I have tried to make sure that she doesn't get damaged, which is easier said than done when I have a cat that loves pushing things on the floor as far as I'm aware there are two different Elsa's as you can see I have the one where she is holding a snowflake. 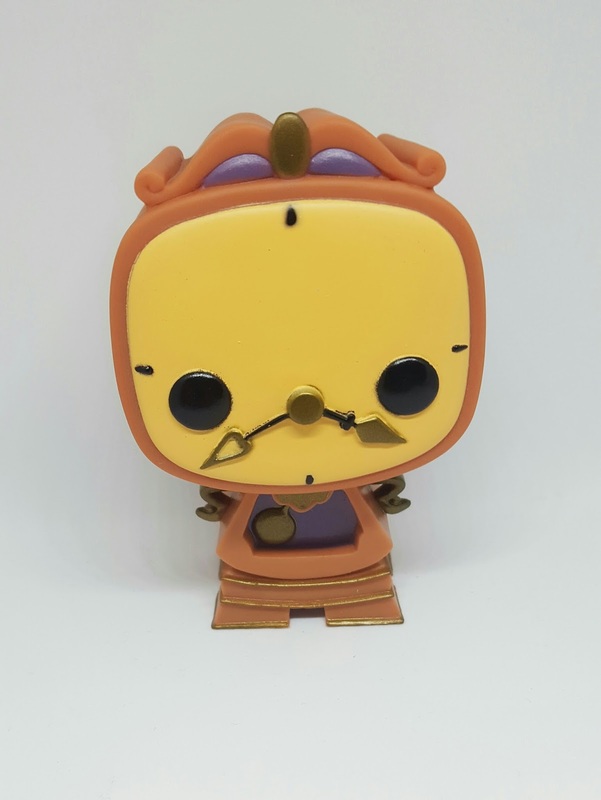 Last year for my birthday James made me hunt for my presents, he got me three of the beauty and the beast Funkos from the Disney collection, I have Cogsworth, Lumiere and Mrs Potts and Chip. They're really adorable and it was a lovely surprise, I would love to add Belle to the collection just because it feels like I have something missing without her. 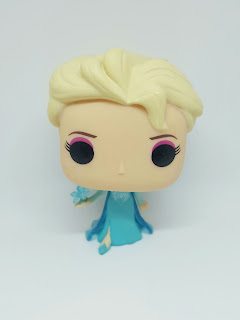 My next Disney funko would have to be Ariel, she was always my favourite Disney princess growing up as she had red hair and I was ginger and I felt there was a princess I could finally be. Fallout 4 is one of my favourite games, I have put so many hours into it and fallen in love with every aspect of it I felt I needed a POP funko to go along with my love for the game, I chose dogmeat as he is one of my favourite characters within the game (even if he did keep getting me killed when I first played), I obviously need to add a vault boy and a vault dweller to my collection next but it can wait for now. Who loves Game of thrones? ME!! James knows how much I love the show as well as Jon Snow so he surprised me with a box of two different funkos and one of them was Jon Snow. 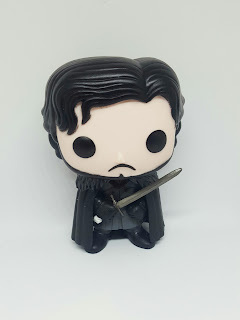 I love my funko and it looks just as grumpy as Jon's charecter in the show which makes me laugh, I like the look of all of daenerys funkos so I would like them to go with Jon Snow. 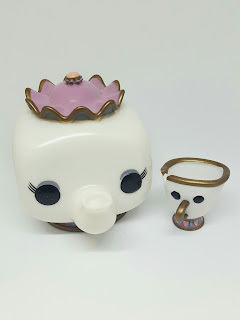 This funko was in the box of two that James surprised me with, it's unique from the others as it bobbles! This is my BB8 funko it's the cutest one out of all of them and just 1 of the star wars funkos I wanted from the Star wars collection, You can also take BB8 off of the stand but why would you want to? 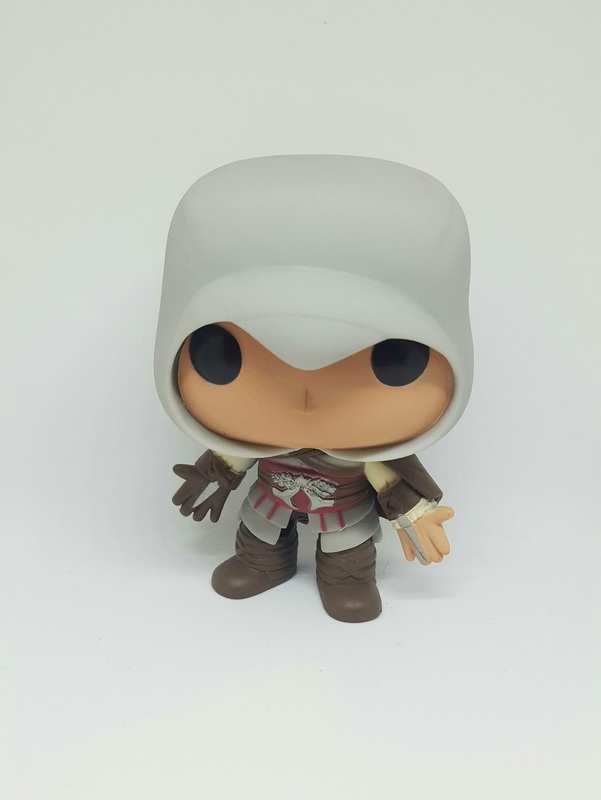 My last funko is Ezio, you all know how much I love Assassins Creed and that Ezio is my favourite character from the games. 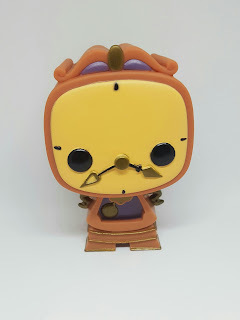 Unfortunately, his box is slightly damaged so he was marked down in price when I got him. A few weeks after I got Ezio I saw Altair and knew I had to have him one day to go with Ezio, I will have to wait to get any funkos until I have saved up for a new laptop as this one is so slow and frustrating. 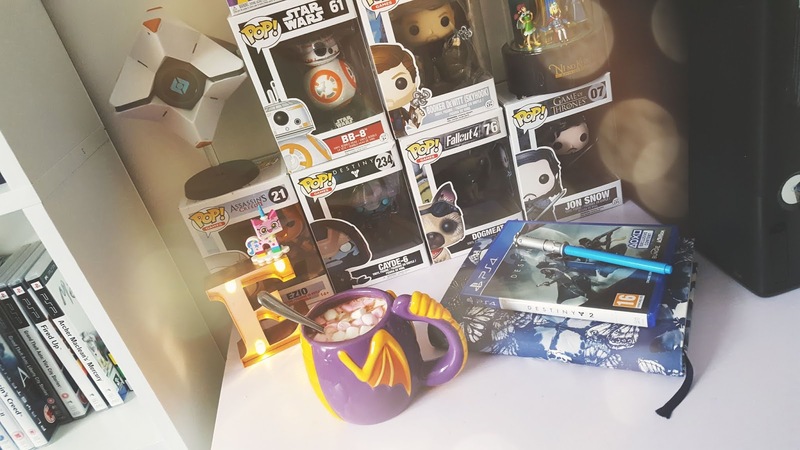 When I do eventually get them, James and I will be putting them on display in the gaming room (if we ever get round to sorting it) in the mean time, I have a lot of games to play, Overwatch and Ezio the collection to name a few! 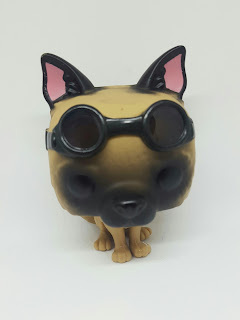 Do you collect funkos? Which one's are your favourite or are you lusting over? Ahh I want some so bad but I have no where to keep them especially from the kids! As you can imagine all I want is the Harry Potter Funkos! I'd be so happy!